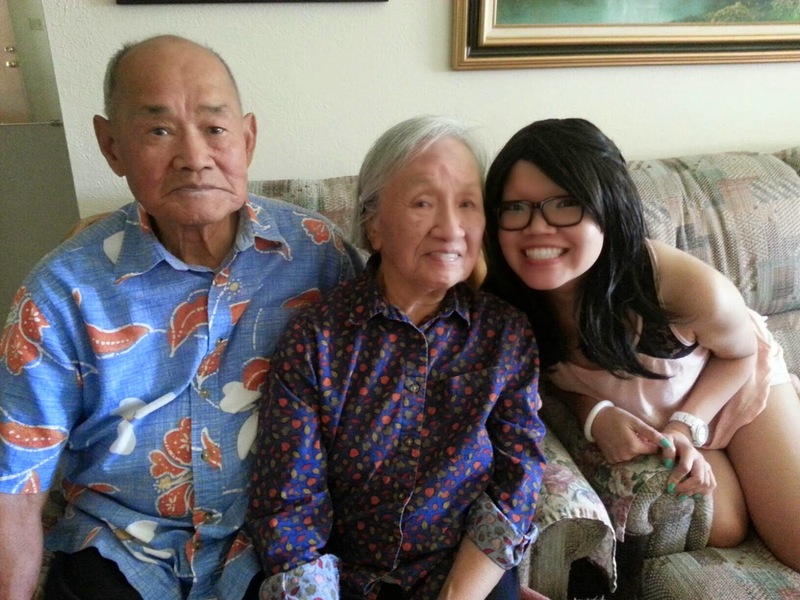 I love my grandparents and am so lucky to have three of them still alive and in my life. My grandmother on my mom's side is in her 80s, and my grandparents on my dad's side (pictured above) are both in their 90s. Even with the language barrier that exists between grandparents/grandchildren in my family, I am so deeply appreciative for all they did to make sure future generations could have a chance to succeed. 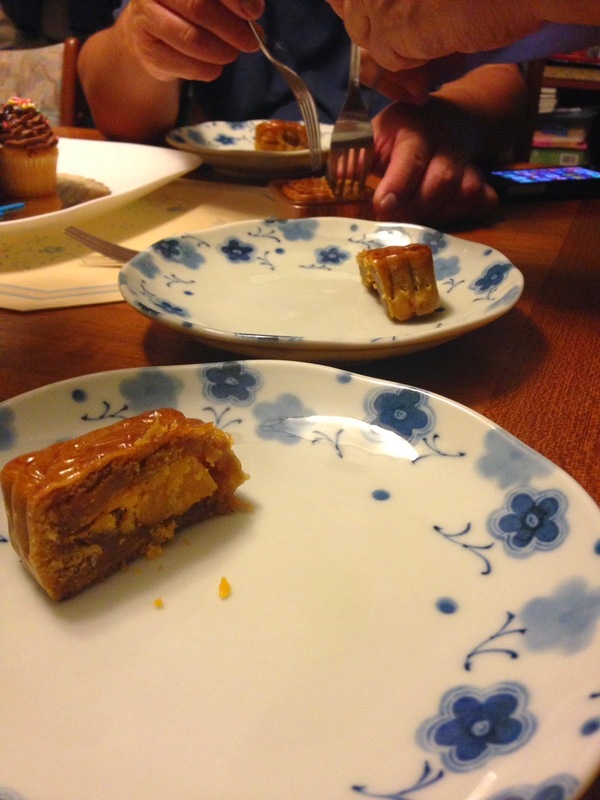 Mooncake! It's one of my favorite parts of the Mid-Autumn Festival. When we were little, my parents would take us to Chinatown in San Francisco to enjoy the booths and trinkets around the streets. Back home, we would go outside and look at the giant moon while my mom told us about the bunny and elixir of life, and then we'd go inside and cut mooncakes and guess which quarter of the cake had the egg yolk. 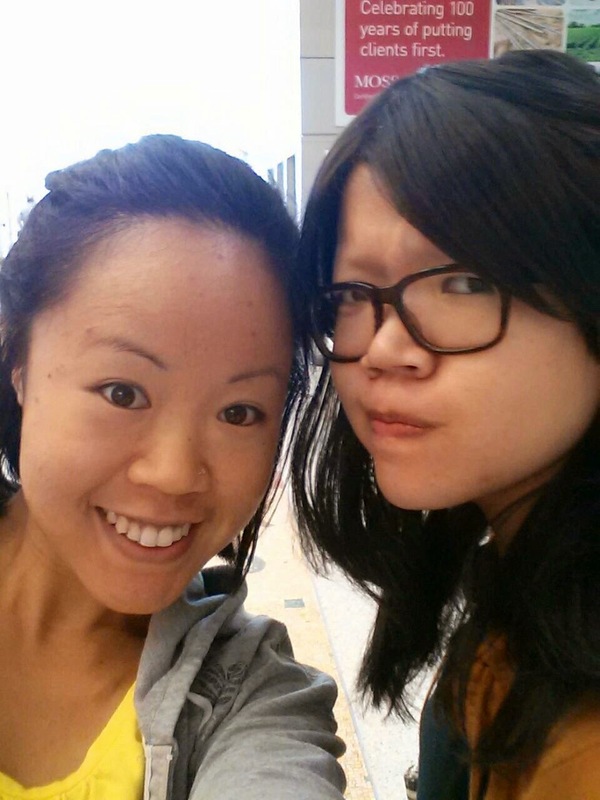 Airport selfie! These are our "how many days until Orlando??" expressions. 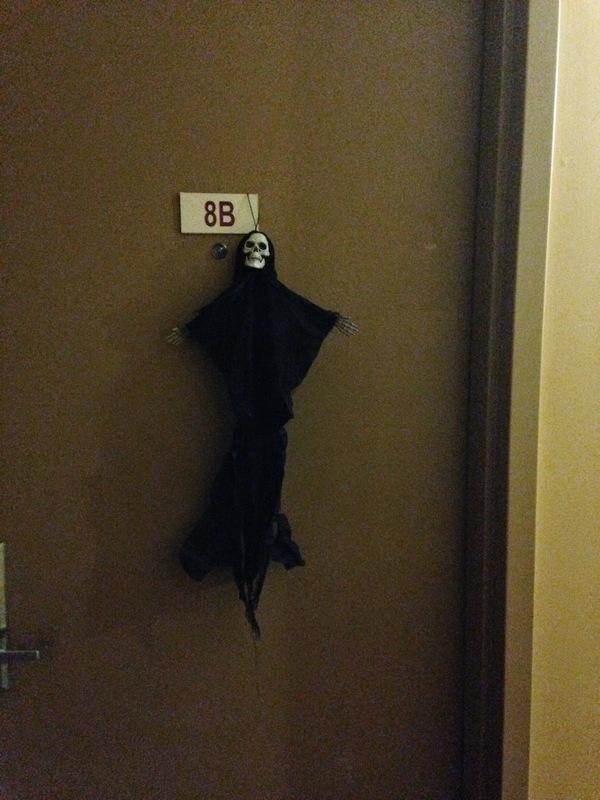 And then I came back to New York to this on my neighbors' door... it wasn't even halfway through September! It freaked me out when I first saw it because I wasn't expecting Halloween decorations two months in advance... there's now a sparkly paper bat on the door too. I found this on my phone, sent to me by Christine. 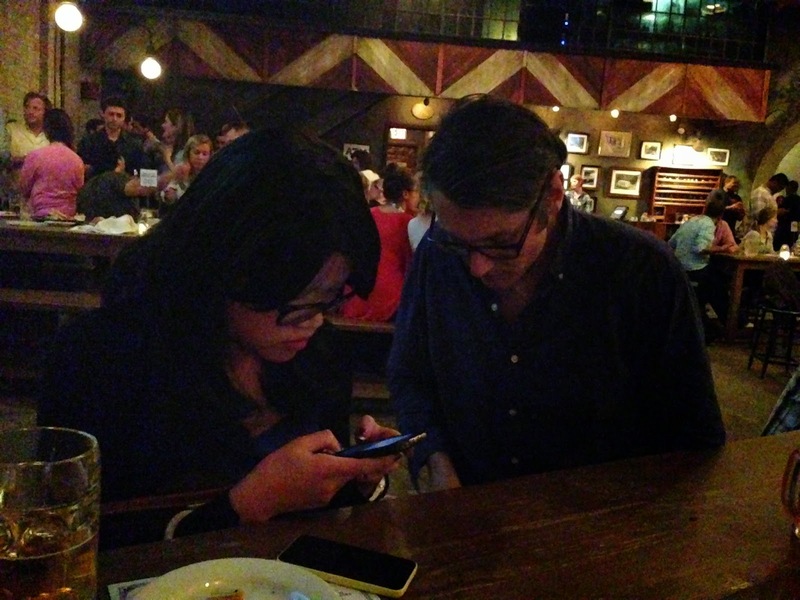 I think in this moment Schoetz is either telling me what to tweet from our show account, or I'm installing the Emoji keyboard for him on his phone. Either way, I think it's fairly representative of our daily interactions. I wish I had a photo of me holding that mug because I can tell you: I looked like a midget. Everyone else looks normal! 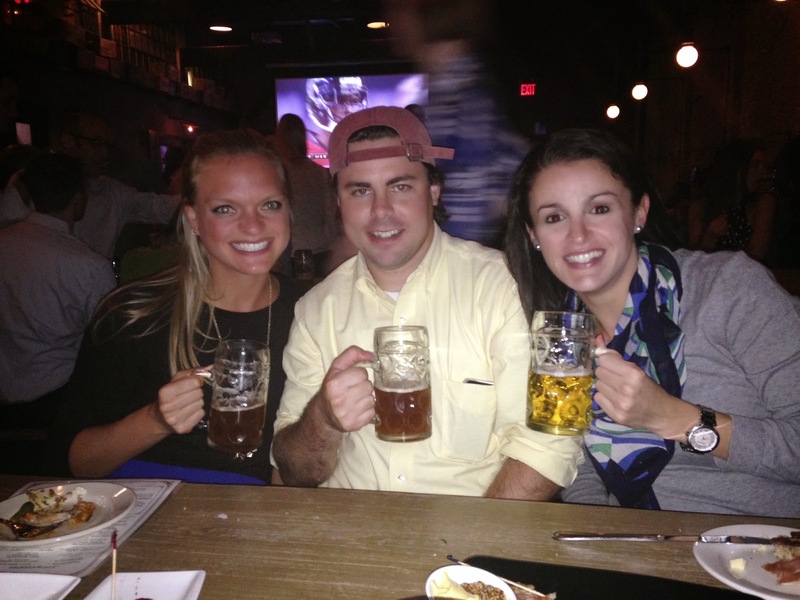 But those mugs were huge. Thanks, House of Brews. 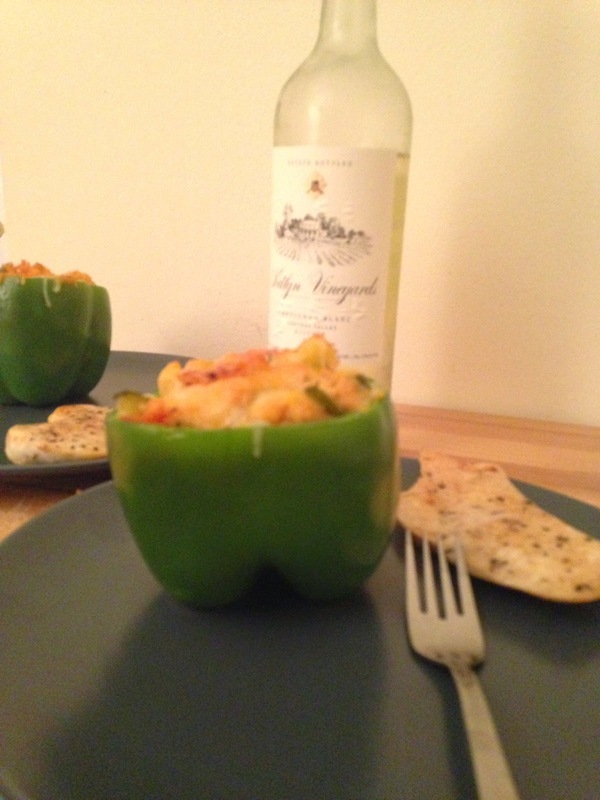 Minerva made bell peppers stuffed with couscous and it was delicious! 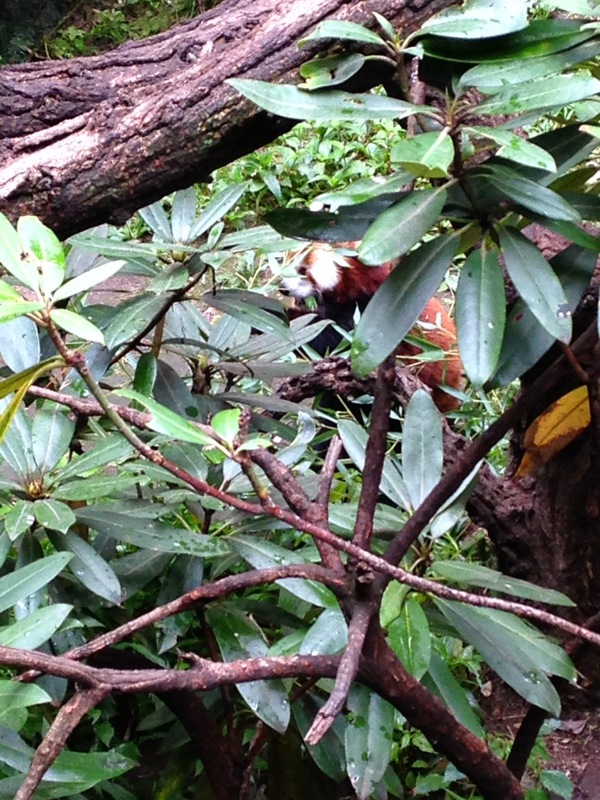 Can you spot the red panda? Herman and I went to the Bronx Zoo and walked around for hours. It's definitely not a boring--or small--zoo. I also made him try Dippin Dots because he'd never eaten them before and I firmly believe you can't go through life without trying them at least once. What a great way to end the month: my parents were in town! Being the oh-so-great daughter I am, I scheduled my wisdom teeth surgery to coincide with their stop through the city before heading to Maine. 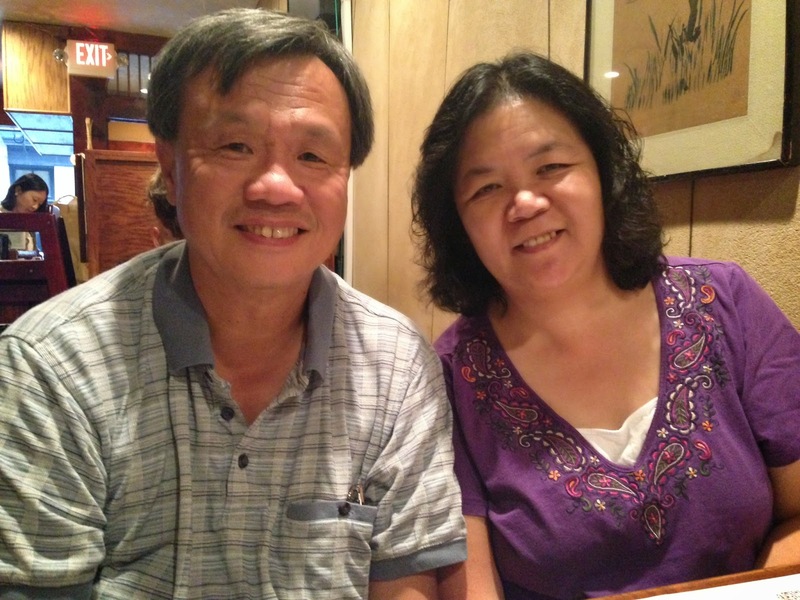 I'm not afraid to admit it: I need my parents still! Amanda and I used to always joke in college that moms had magical healing powers but I really do think it's true: I was feeling better within a day of getting all four teeth out.